The Petroleum Training Institute (PTI) Commence the sales of Admission Form, For National Diploma (ND) And Higher National Diploma for the 2018/2019 Academic Session, Below are the Available Programmes, Cost of Admission Form and Method for Online Application, Date for Entrance, Closing Date and so……. 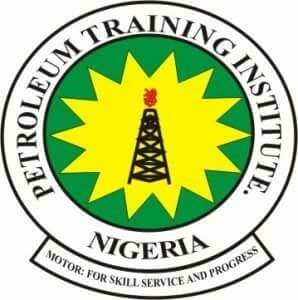 This is to inform the General Public that The Petroleum Training Institute (PTI), Effurun, invites applications from suitably qualified candidates, for admission into the National Diploma (ND) And Higher National Diploma (HND) and Certificate Programmes for the 2018/2019 Academic Session. Below are the Full-time programme that is Available, Also Note that to get Admission Into the National Diploma (ND) Candidates must have sat for JAMB. The Admission requirement for HND and ND candidates they are to possess five (5) Ordinary Level Credit passes relevant to the choice of programme which must include (English Language and Mathematics) while HND candidates must possess in addition to the above requirement, National Diploma (ND) relevant to their choice of programmes. For More details see online admission prospectus for 2018/2019 Academic Session. After the payment of Ten Thousand Naira Only, (N10, 000) which is the cost of each admission form, return to the PTI website (www.pti.edu.ng) and click on “Return to my Application”. PLEASE NOTE THIS: If your USER NAME and PASSWORD is Rejected by the Portal in your attempt to login again after payment, then mail itsupport@pti.edu.ng stating your RRR code. The Date for the entrance examination for General Welding Certificate programme will hold on Saturday, June 23rd, 2018 at Petroleum Training Institute, Effurun, Delta State. Candidates are advice to be in the School before the Examination Entrance date to enable them know their Examination venue before the Exam Date. The National Diploma Candidates that have already applied through JAMB should visit JAMB Brochure to know the required Subjects they are to write during the examination as the Subjects for the examination are not the same for all the programmes. The Interview For Diving Certificate interview will be held from 13th August – 17th August, 2018, at the Petroleum Training Institute, Effurun, Delta State. The Closing Date for the Online application for HND, General Welding and Commercial Diving Programmes is on Thursday 31st May, 2018. While the Late On-line sales of HND, General Welding and Commercial Diving admission forms commences from Friday 1st JUNE, 2018 and ends on 15th June, 2018 at the cost of twelve thousand naira (N12, 000.00).